IITL Nimbus ”The Golden Palms” is spread over 10 acres of land. “The Golden Palms” has been designed by very eminent architect Mr. G P Mathur. It has 13 towers, which are constructed in such a way for having maximum Sun light and Air in every tower. All the flats of this project are Vastu friendly. 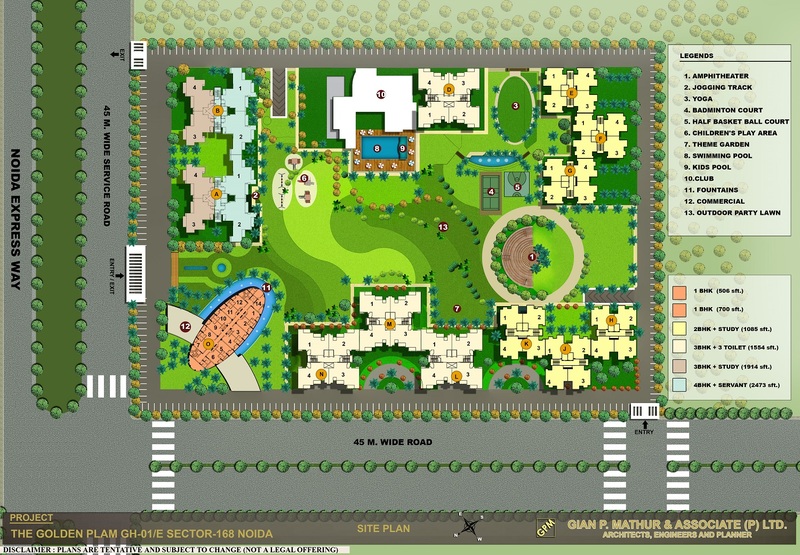 IITL Nimbus has given more than 5 acres of land for central green area in “The Golden Palms”. There is specious club house designed by the architect dedicated for residents. Logos, images, contents etc used on website are the copyright/trademark of respective authorities . We are authorized sales associates of IITL Nimbus Group.